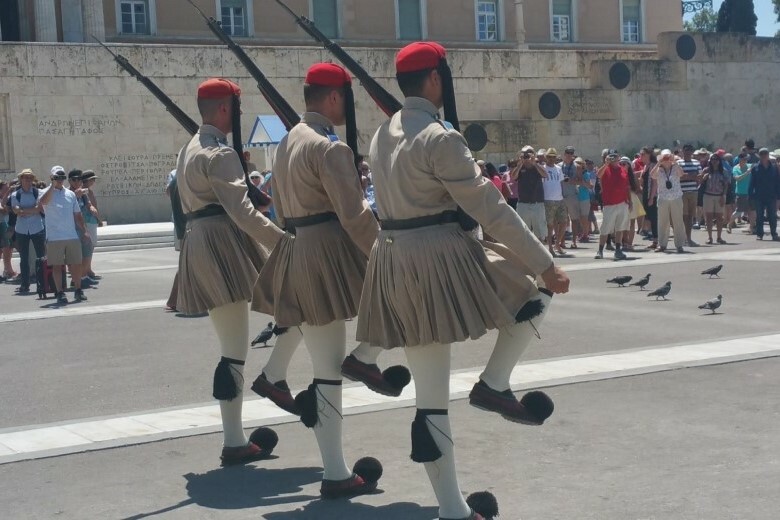 The best combination of sightseeing and unique flavors can be experienced on this Walk & Taste Olympia tour. Appreciate the blessed fertile soils and diverse landscapes of Olympia which was once the site of Zeus’ most magnificent sanctuaries. And now, the only place where the Olympic Flame is lit for each Olympiad. 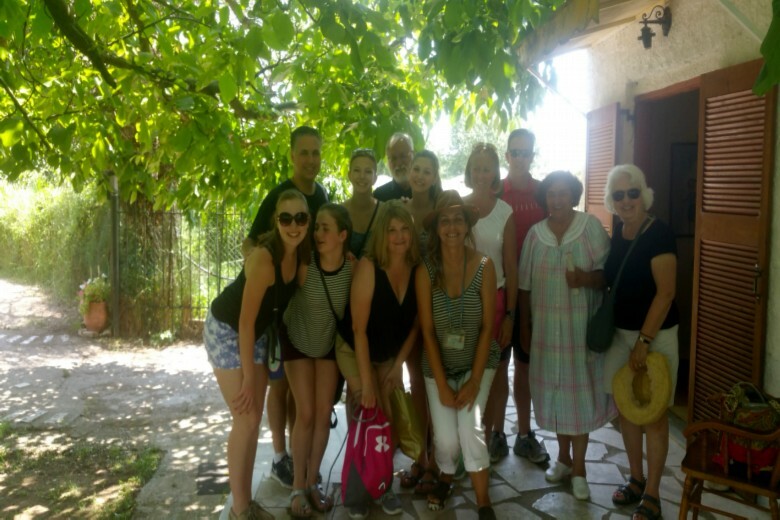 Feel the Greek hospitality as you interact with amazing people at a local farmhouse. This half-day program will initiate you into the tastes of the local cuisine and the Olympic site, the birthplace of the Olympic Games. Visit a local olive grove, a hidden gem, where you will have the unique opportunity to experience the process of the olive harvest and taste the final product. 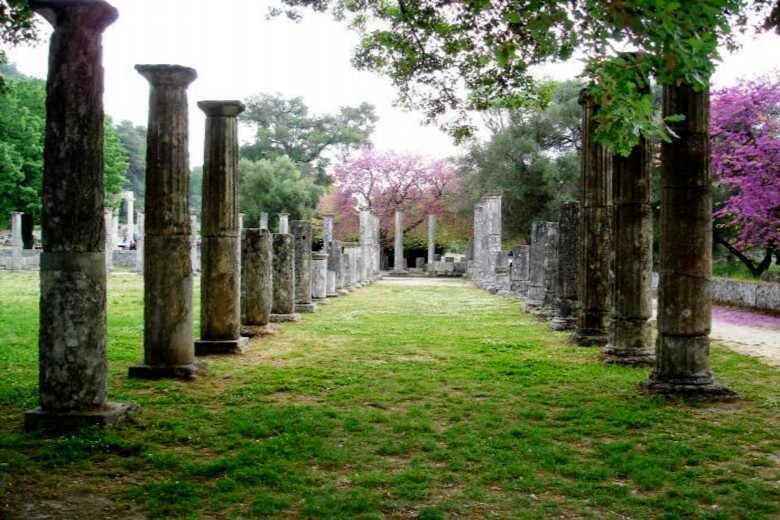 Visit the Olympia Archaeological Site with a local certified tourist guide – Listed as one of the monuments of the word heritage of UNESCO, this beautiful archaeological park is sure to reward you! Upon arrival at Olympia, you will be assisted to buy the tickets in order to avoid waiting in a long queue. Discover the land where the Olympic torch is lit. – Admire the ancient training facilities, the famous gymnasium and grasp the opportunity to run in the Olympic stadium. 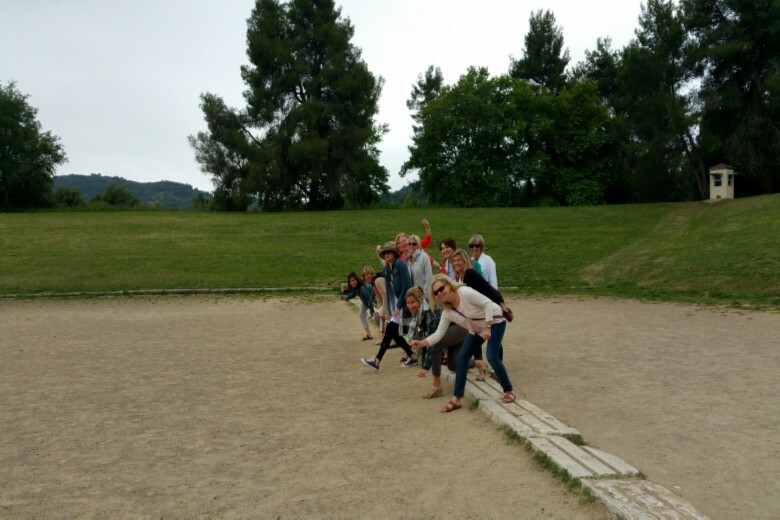 Grasp the opportunity to run the Olympic track where Hercules first participated! Make your own olive wreaths and challenge each other for the crown! Share your thoughts about the wonders of the ancient world under the shady trees – one of them was here!!! The golden and ivory statue of Zeus was once housed in his Temple. 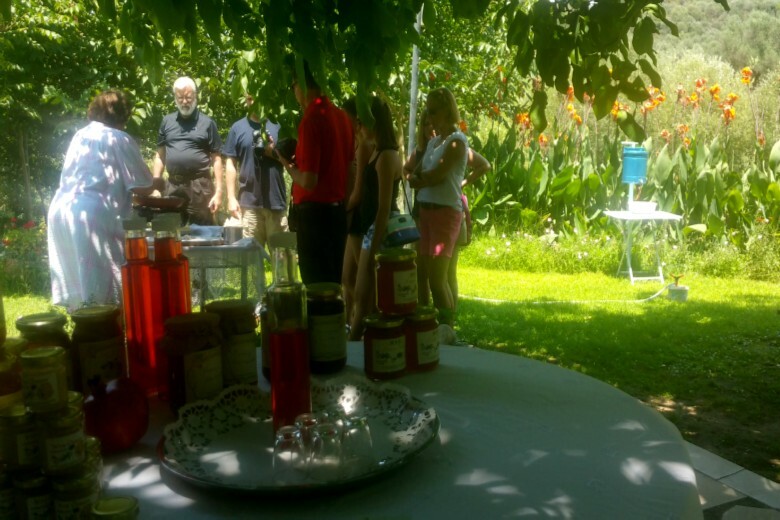 Local farmhouse – A short walk along the country road will bring you into a garden filled with fruit trees and vegetables where you will discover “unknown Olympia” under the shade as you chat about life on a small farm. Try the seasonal fruit platter accompanied by fresh juice and coffee or the homemade aperitif. Then accompany Klio as she guides you through her collection of old and new tools used for rural activities. These are housed in a building about a hundred years old, once used for the supplementary work on the farm. 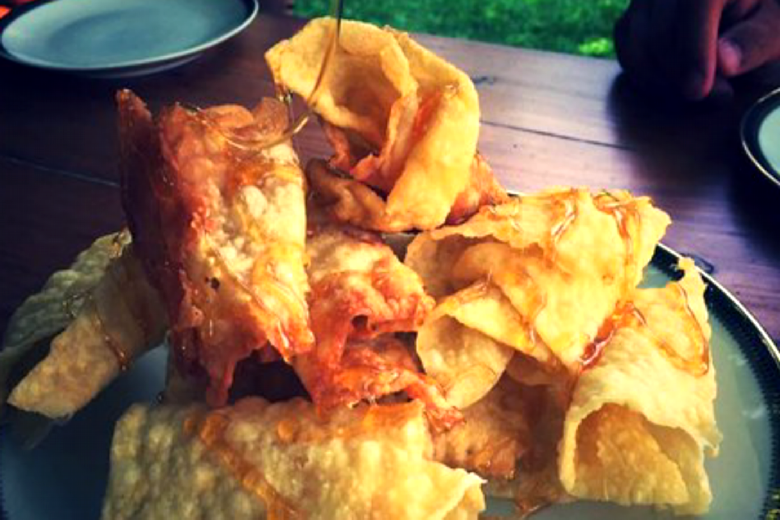 Top off your Walk & Taste Olympia tour with “diples“, a traditional sweet with honey. Mrs Roula, herself, will prepare them before you as she unfolds the dough and the secret recipe for this mouth-watering dessert. 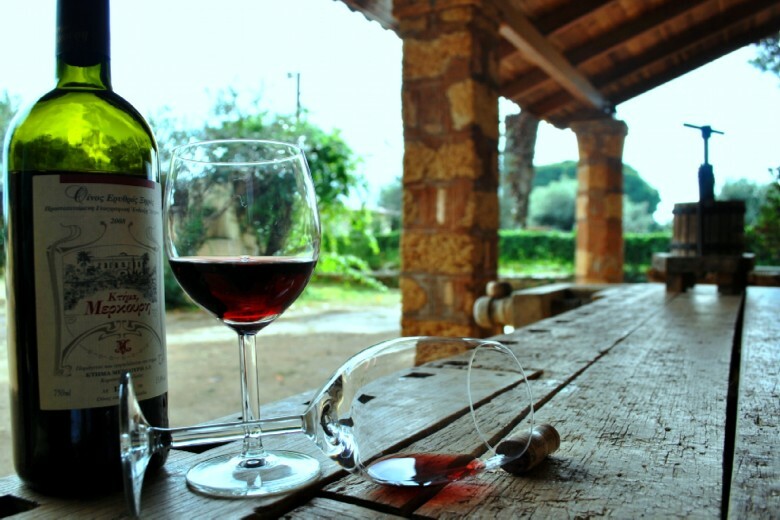 √ Bring your private Walk & Taste Olympia tour to your own measures and preferences. √ Reserve a private guided tour on a hassle-free and time-saving journey to Olympia while avoiding the inconveniences of the crowded coaches. √ Relax as you travel in luxury and comfort in a brand-new air-conditioned Mercedes vehicles. 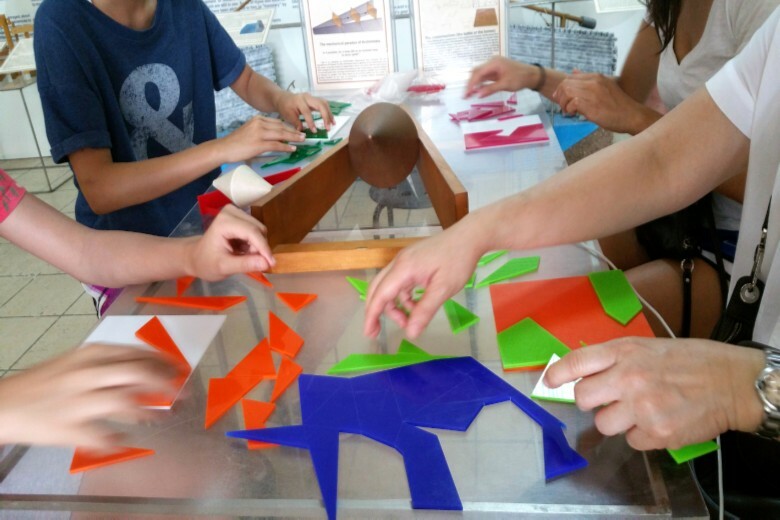 √ Enjoy time at the farm, have fun on our kids’ friendly tour. 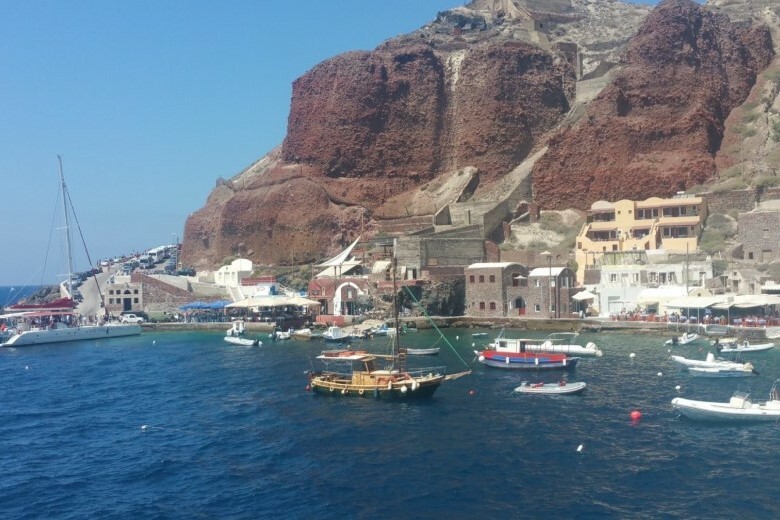 √ Our private Walk & Taste Olympia tour has received excellent reviews on TripAdvisor.